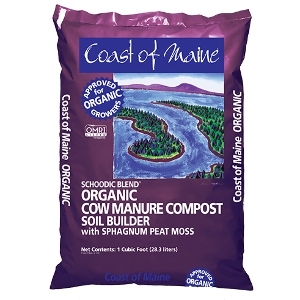 Coast of Maine Schoodic Blend Cow Manure Compost is a dark, rich soil made from carefully composted cow manure blended with peat and peat humus. 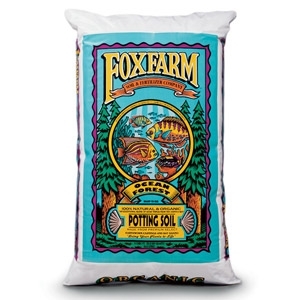 The result is an all-natural, easy-to-use, all-purpose organic soil amendment ideal for conditioning vegetable gardens and flower beds. 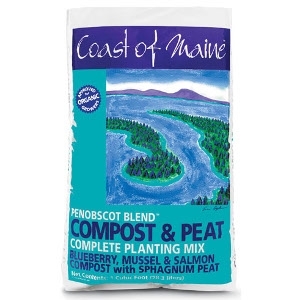 Penobscot Organic Planting Mix is the product that launched our company! 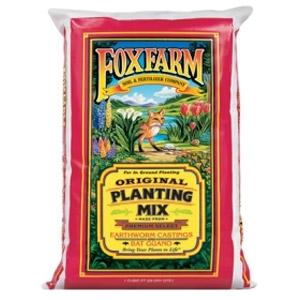 An all-in-one blend for both planting annuals, perennials, shrubs, and trees or conditioning gardens beds and borders. 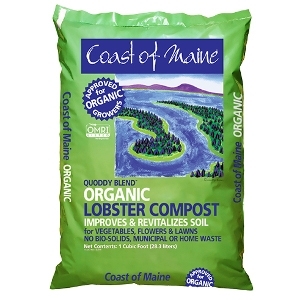 A rich, smooth blend of salmon and blueberry compost, tiny mussel shell fragments and peat. 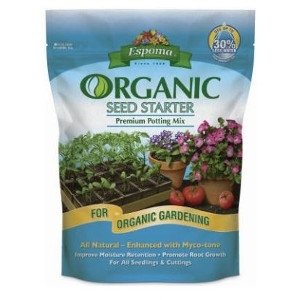 The shell fragments help aerate the soil and add texture to your soil. 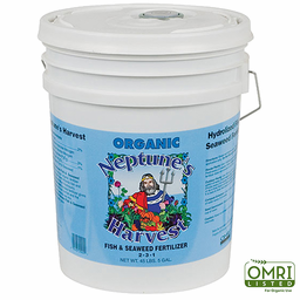 Neptune's Harvest Organic Kelp Meal (1-0-2) is dried and ground Rock Weed (Ascophyllum Nodosum), which grows in the cold clean waters along the New England coast, and is known as the best marine plant available for agriculture today. 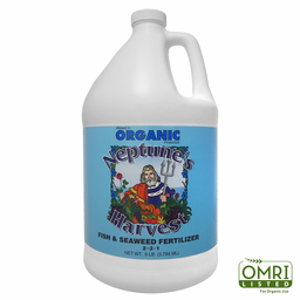 It is full of trace Minerals, Carbohydrates and Amino Acids, which help create a strong root system and makes a very healthy plant. It should be tilled in the soil before planting or can be top dressed, incorporated into potting soils, seed beds and composting material. 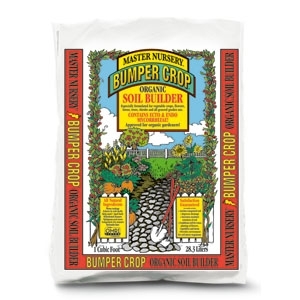 It will add organic matter to your soil and help it retain moisture. 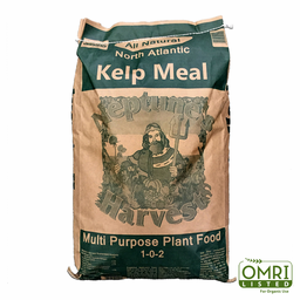 Kelp Meal will keep your lawn healthy and green and shows great results on all plants. It is perfect to mix with the Neptune’s Harvest Crab Shell. 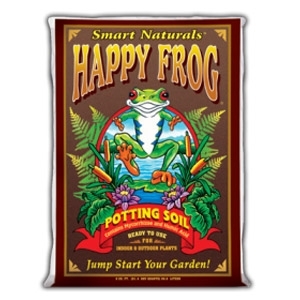 The Original All Natural, All-Purpose Plant Fertilizer! 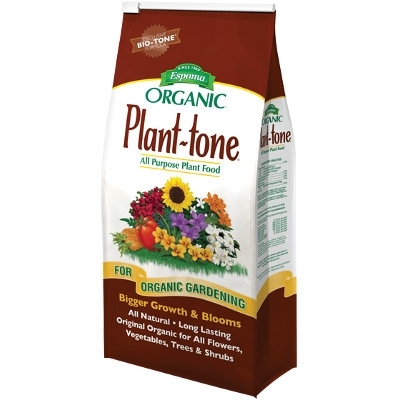 Plant-tone is the original all natural plant fertilizer made from the finest quality organics available. Plant-tone's natural organics break down gradually, providing a safe, long lasting food reservoir activated throughout the growing season. Plant-tone's all natural formula contains Bio-tone®, Espoma's proprietary blend of beneficial microbes. Bio-tone biologically enhances their natural fertilizer to ensure superior plant growth. 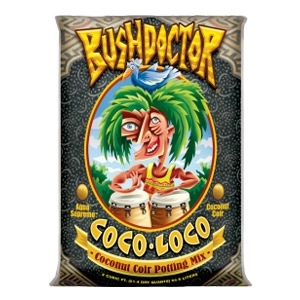 The Original Acid Loving Plant Fertilizer! 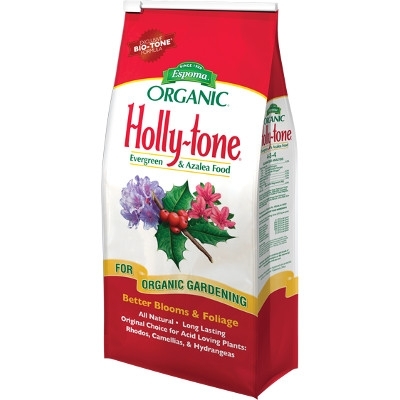 Holly-Tone fertilizer is for acid-loving plants, such as hollies, azaleas, camellias, evergreens, hydrangeas, dogwoods, blueberries, strawberries and rhododendrons. 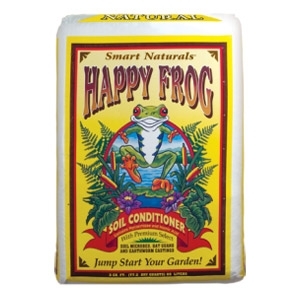 It is rich in natural organics and used and recommended by Professionals for decades. Holly-tone also contains Bio-tone®, Espoma's proprietary blend of beneficial microbes. Bio-tone biologically enhances their plant fertilizer to ensure superior plant growth. Ready to bloom? 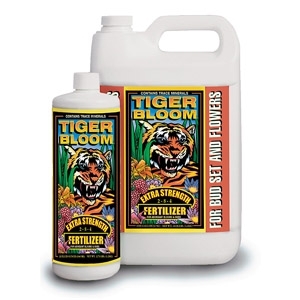 Tiger Bloom® makes it happen. 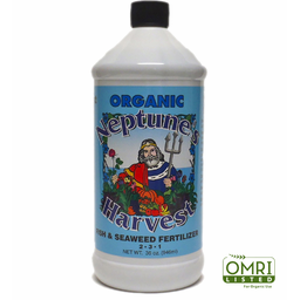 This is an ultra-potent, fast-acting, high-phosphorus fertilizer with just enough nitrogen to sustain healthy, vigorous green growth during flowering. 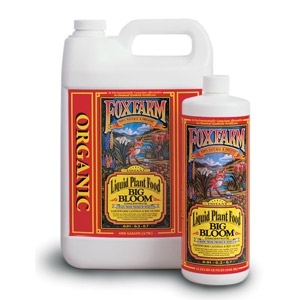 FoxFarm Tiger Bloom® is an ultra potent, fast acting, high phosphorus fertilizer that also contains a good supply of nitrogen for growth and vigor. 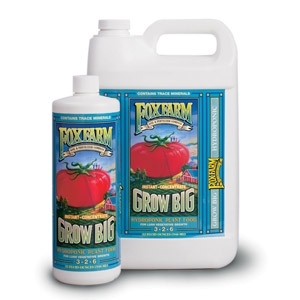 It is formulated with a low pH to maintain stability in storage and keep micronutrients available. Natural and organic blossom builder. 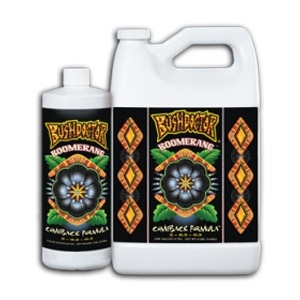 Big Bloom™ is ideal for all flowering and fruiting plants, and it’s safe enough to use every time you water. 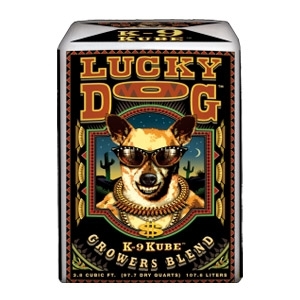 You’ll enjoy healthy, vigorous flowers and dramatically improved fruit and vegetable flavors. Grow more spectacular flowers, bigger vegetables, lush foliage and stronger trees and shrubs!The easiest way to feed and water your garden. 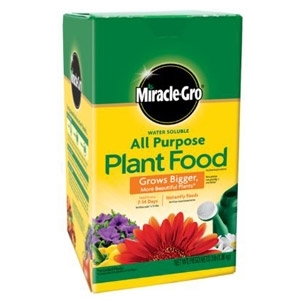 Great for use with the Miracle-Gro Garden Feeder. 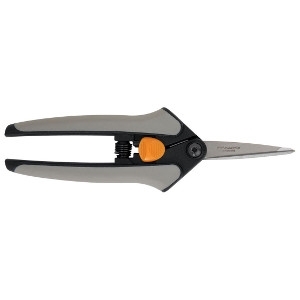 Instantly feeds through both the leaves (foliar) and roots (soil zones). Ideal for all plants (indoor and outdoor), flowers, vegetables, and all soil and water conditions.